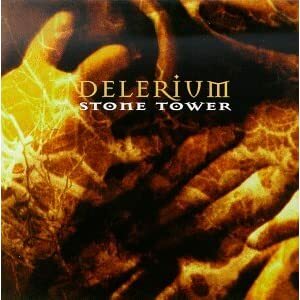 From the early 1990’s, The Stone Tower is a dark ambient instrumental album with an industrial feel. This might be described by saying it could be what you get if you put Nine Inch Nails in a blender with Suspended Memories. Sound fx and very electronic sounding drum machines and bass synth fill most of the tracks. This would fit well in a cyberpunk world. It seems like on Spiritual Archives and The Stone Tower they have finally gone back to the formula which worked so well on Faces, Forms, and Illusions. This album sounds much less like Ministry and more like ethereal trance-like industrial. There’s a couple good tracks which don’t have any percussion on them, which means more flexibility because they could more easily fit into a non-modern setting. I also this the atmosphere on this particular album is a bit creepier than their other works, especially the tracks, “Lost Passion”, “Tundra” and “Spirit”.